When an order is received, a bunch of robots come into action, gathering various bins which hold the items needed to fulfill an order, somewhere in the warehouse, right up to the human operator, who collects the items he/she needs and the robots then go back and recharged themselves. All of this is done autonomously. Remarkable! This is a ridiculous sentiment. You would have us all striving to find the most inefficient ways of doing everything in life in order to maximize the number of humans doing repetitive, meaningless work. This is not our purpose as human beings. Any time that we spend doing? automatable work by hand is a waste. As an engineer, things like this make me excited. All those people gripping about jobs being lost to machines, you’re thinking too narrowly. The real problem isn’t a failure of technology, it’s a failure of capitalism. Let’s just face the facts. As people like me invent more and more advanced forms of technology, mundane jobs will disappear at a more frequent rate. This? isn’t a bad thing. It just means that capitalism is becoming more irrelevant. Until then,? you’ll just have to rely on your monthly EBT as your source of free money, unfortunately what’s free for you, is paid for by the last remaining few who actually work for a living and produce something to make ends meet. Ultimately, the system we’re in is fractured and in the process of total collapse, so perhaps the machines will rise and take over, but by then, what practical use are human parasites? Pretty soon, it will be possible to replace nearly all jobs with machines, which will mean free food, water, and shelter for everyone, whether they work or not. That would leave everyone free to pursue their passions regardless of economics – although economics as we know now it will have ceased to exist by then. Personally, I can’t wait for money to? become a thing of the past. Great way to get rid of all those middle-class jobs America has relied on for so many? years, now if we could just get rid of the people, we’d be on to something. 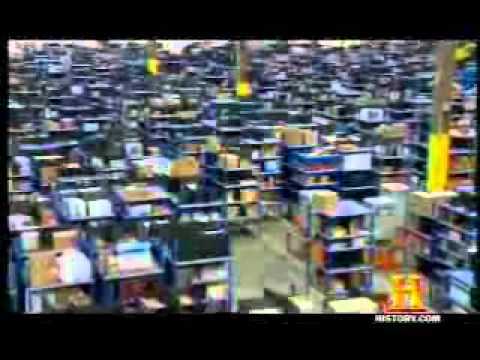 The company that owns the warehouse shown in this History channel special is now bankrupt, nobody has jobs anymore, customers just dried up, and so now this fully-automated warehouse is no-longer “running at full capacity 24/7,” it’s no-longer running at all. Robots equal more-profit, but they don’t consume products, employed people do. It’s great! Nobody wants to work in a warehouse. The more automation? the better, the more automation = less price of good, to the eventual price is negligible. Great video keep? up the good work.